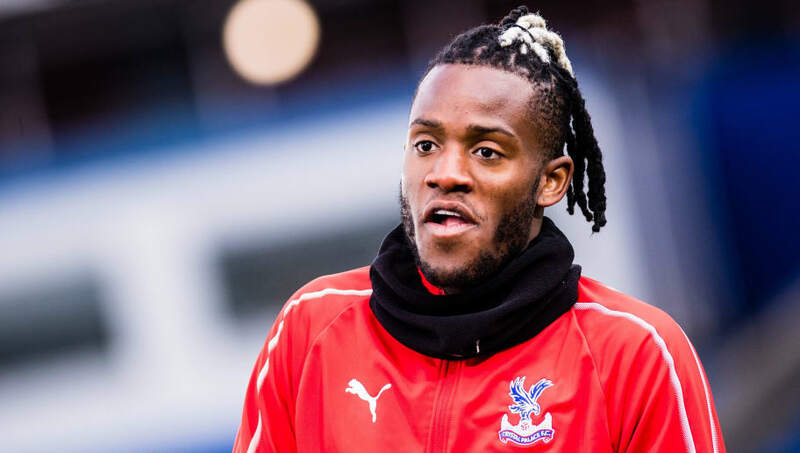 ​Michy Batshuayi has promised Crystal Palace fans that he will do all he can to be at his best over his next six months with the club. The Belgian agreed the loan move away from Chelsea in the final stages of the January transfer window, and made an immediate impact upon making his debut for his new side on Saturday, forcing Sergio Rico to make the save which led to Jeffrey Schlupp's goal in the 2-0 victory over Fulham on Saturday. Speaking to the club's ​official website after the win, ​Batshuayi vowed to give his all for ​Palace. He said: "It's very important [the win], it's good for the team and for me. I feel good, good but I need to train with the team so to have the whole team together will be something that's good. "Today, [I was] with the team yes. But I spent one day before training and with the coach. "I'm going to bring as much as I can to help the team win and get some game time to be at my best." Palace have endured a challenging season so far, currently finding themselves 14th in the ​Premier League table. Scoring goals has proven to be a real challenge for Roy Hodgson's side, who have been forced to rely on goals from the likes of Schlupp and midfielder Luka Milivojevic, with their strikers struggling for form. ​Christian Benteke and Connor Wickham have both struggled with injuries, whilst Jordan Ayew has netted just one league goal since the start of the campaign. As a result, Batshuayi will likely be given many chances to impress in the starting lineup. His form at Valencia was certainly disappointing - he netted just three goals in 23 appearances - but his past form with the likes of Marseille and ​Borussia Dortmund will give Palace fans confidence in his ability. With Dortmund during the latter half of last season, Batshuayi racked up an impressive nine goals in 14 appearances, and he would certainly endear himself to Palace fans if he can replicate that form at Selhurst Park.